There’s nothing more special than being married to someone you love, and that’s why wedding anniversaries are one of the greatest causes for celebration. Whether you’re celebrating your first year of wedded bliss or you’re coming up to your golden wedding, you should always take the time to mark the occasion of another happy year together. That’s what this site is all about – finding the best ways to make anniversaries truly special. This site is dedicated to all things anniversary-related. Here, you can find fascinating facts about the different anniversary years, helpful tips for choosing the perfect present and, of course, inspiring suggestions for wedding anniversary gifts by year. If you’re struggling to choose the ideal gift for your loved one, this site is designed to give you all the help you need. With ideas for both traditional and modern anniversary gifts by year, you are sure to find something that will bring an added special touch to the big day. We are a fount of knowledge when it comes to anniversary gifts. We know how important it is to choose a meaningful gift that will have a special significance, and that’s why we created this site. Choosing anniversary gifts for your partner, parent, friend or other loved one can sometimes be a challenge. With the pressure on to find something creative and exciting, it’s no wonder that inspiration often fails to come. Faced with the prospect of choosing yet another dull and generic present, it can be difficult to know what to do. Luckily, our helpful list of anniversary gifts by year can save the day, and our guide to choosing the right anniversary gift to perfectly suit each recipient will make the task of present-buying a breeze. While most people are aware that there are certain marital years that have recognisable themes, such as silver for the 25th anniversary and gold for the 50th, the idea that almost every single year of marriage has its own symbols associated with it often comes as a surprise. 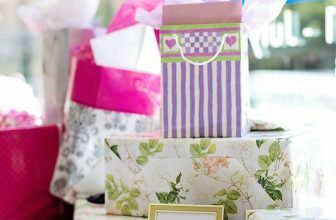 From traditional materials with symbolic meaning to contemporary alternatives, and from flowers to gemstones, each year has its own themes that can be mixed and matched to create a unique and creative gift that is sure to impress. Here, you can find a definitive anniversary gifts by year list outlining not just all of the traditional and modern gifts associated with every year of marriage, but also the colours, gemstones and flowers linked with each one. This is the only tool you’ll ever need to surprise your nearest and dearest with a present that has the deep significance and personal meaning that is so important. If the person that you are buying for has classic tastes, a traditional gift is the perfect choice. Someone who values the tried and tested way of doing things, with an interest in historical significance and heritage will appreciate receiving a gift that has been linked to a specific anniversary year for generations. Respecting these traditions and helping them to live on will make receiving this type of gift even more meaningful. Many anniversary years have a traditional gift associated with them, reflecting the sentiments behind the year of marriage and symbolising specific elements of married life. From the tightly woven threads that represent the close-knit union of the couple when giving cotton gifts to the strength of iron that captures the essence of the pair’s marital bond, these traditional gifts are a perfect choice for a traditionalist loved one. Although traditional gifts are meaningful and symbolic, they’re not to everyone’s taste. Some people would much rather receive a present that is practical and useful – something suited to modern life. It is for this reason that a new list of anniversary gifts for each year was recently created, linking more contemporary suggestions with every year of marriage to complement and stand alongside the existing traditional list. With ideas such as household electricals and desk sets, these modern alternatives are a much more suitable suggestion for those with a more practical and up to date state of mind. Many marital years are associated with a particular type of plant, each of which has its own significant meaning in the language of flowers. During the 19th century, these meanings were well known, and lovers put a lot of effort into selecting blossoms for bouquets that spoke volumes about their affections without ever uttering a word. Today, many of those meanings have been forgotten, however you can find out more in our list and can choose the perfect floral gift to match your loved one’s anniversary year – the ideal token of esteem for a keen gardener. Jewellery is a classic gift for any occasion, and never is it more appropriate than for a wedding anniversary. To make an anniversary jewellery gift even more significant, choose a piece which incorporates the gemstone connected with their year of marriage. Virtually every marital year has a gemstone linked with it, from opals and sapphires to haematite and amethysts. While some are well known, such as rubies for the 40th anniversary, most are fairly obscure. Nevertheless, you can find all the information you need in our handy anniversary gift list so that you can find the perfect jewellery gift match. If your loved one likes nothing more than jetting off to explore new places and exotic destinations, the perfect anniversary gift is one with a travel theme. While the ideal present would be a trip or holiday to an exciting new location, not every budget can stretch so far. Some alternative ideas may be a night in a B&B close to home or a gift that would be useful while travelling such as a suitcase set, a guidebook to their dream destination or a personalised luggage tag. Is your loved one a thrill seeker? Are you looking for the ideal anniversary gift for someone who is always on the lookout for new experiences and thrills? An experience day could be the perfect solution. There are countless options available to choose from, including white knuckle activities like skydiving, bungee jumping or racing car driving, as well as less adrenaline-filled options like trips to the theatre, gourmet cookery classes or wine tasting workshops. There is sure to be something that your loved one will appreciate, and the memories that they create will last a lifetime. If you are buying a wedding anniversary gift for someone who would appreciate a unique touch and a gift that is tailored completely to them, you should go for a personalised token of appreciation. There are so many different options available to choose from that there is sure to be something that your loved one will cherish. Engraved photograph frames, paperweights or vases will decorate their home, while they will be able to remember their happy day every time they use a personalised pen, wine glass or mug. Does the recipient of your gift love nothing more than making their house look beautiful? If you’re buying a present for a house-proud relative or friend, you should consider giving them something to decorate their home. A sculpture, figurine or ornament would be a lasting memento of the happy event, or a piece of artwork to adorn their walls would be another appropriate token. For something a little more personal, why not create a photographic gift featuring images of the couple throughout their marriage, from their wedding day to the present? A collage, canvas, or even a printed cushion would be the perfect way to show a home décor enthusiast how much they are loved. The tradition of giving particular gifts to represent a specific marital year dates back centuries. Some of the earliest mentions of giving anniversary tokens are from Medieval Germany where a husband would present his wife with a silver wreath to commemorate their 25th wedding anniversary and a gold one on the occasion of their 50th. Those symbols are still firmly in place today and there are very few people who are unaware of the silver and golden wedding anniversary years. It was many more centuries, however, before materials were linked to any further anniversary years. During the 19th century in the reign of Queen Victoria there was a particular interest in ancient customs, and when this was combined with the interest at that time in classifying and cataloguing, a list began to be created that linked symbols and themes with some years of marriage. It is certainly known that the first reference to wood being linked to the 5th anniversary appeared at this time, and when Queen Victoria reached her Diamond Jubilee in 1897, the 60th wedding anniversary was named as the diamond anniversary in honour of the occasion. The first list of anniversary gifts as we know it today appeared in 1922 in Emily Post’s book entitled “Etiquette in Society, in Business, in Politics, and at Home”. Here she listed only 8 anniversaries that were already linked with a theme (the 1st, 5th, 10th, 15th, 20th, 25th, 50th and 75th) and then went on to outline symbolic gifts for the first 15 years, thus creating the basis of today’s lists. An even more comprehensive list was drawn up a few years later in 1937, when the American National Retail Jeweler Association recognised the potential to increase their profits from cashing in on the anniversary gift market, and issued a list which matched materials with every year from 1 to 20, followed by every 5th year after that right up to 75. In more recent times, a further list of contemporary gifts has been added to provide a more modern alternative to the traditional offerings designed to appeal to couples with more forward thinking ideas. The custom of giving anniversary gifts to friends and family members is found around the world, and in some cases the themes remain the same wherever you go. Gold, for example, appears to be universally acknowledged as the symbol of the 50th wedding anniversary. However, there are sometimes differences. In the UK and America, for example, the themes start out simply, with paper being the first anniversary token. Over the years, the symbols increase in value and extravagance, as a representation of the investment that the pair have put into their marriage over all of those long years, until you finally reach diamonds at 75 years of marriage, representing the cherished and dear nature of such a long successful union. In some other countries, for example Germany, the gifts represent the increasing strength of the couple’s partnership. Of course, one of the best ways to make your anniversary special is to surprise your husband or wife with a thoughtful and meaningful gift from the heart, however there are many other ways to add a memorable touch to your day. Why not recreate some of the special elements of your wedding day? You could arrange for a replica of your wedding cake to be made, dust off your original wedding outfits (if they still fit!) and get together all of your friends and family for a special party. Alternatively, make the day all about reconnecting with each other as a couple and rekindling some of the excitement of the early days of your marriage. Spend the day together, revisiting some old haunts and enjoying activities that you haven’t tried for a while. Round off the evening by having a candlelit meal in a favourite restaurant where you can recapture some romance. If you’re just starting out on your married life together and are approaching your first anniversary, consider beginning your own special anniversary traditions. Some ideas include taking a photo of yourself on the big day each year at the same time and in the same place, playing the same board game on every anniversary, or going to the same special place. We know how important it is to find a gift that your loved one will truly appreciate, however when you use our list of wedding anniversary gifts by year, you’ll find it quicker and easier than ever before to choose something special. Our helpful ideas and suggestions will give you all the inspiration you need to surprise your partner, friends or family members with a gift that has a deep and significant meaning and which speaks volumes about your love and appreciation.